It's a Packing Party! 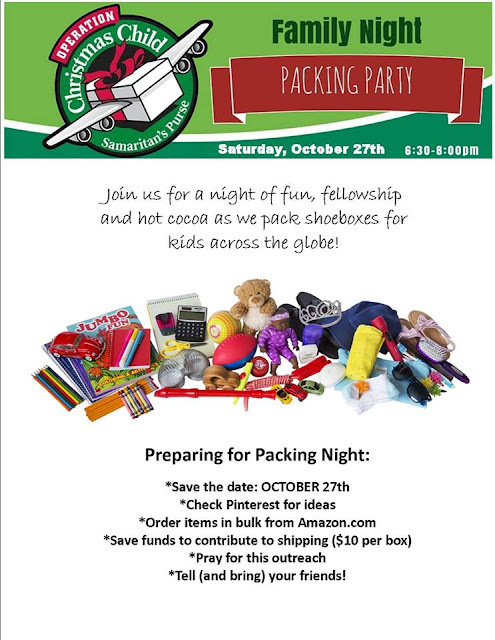 Put your thinking caps on, gather your contributions, and join us on Saturday evening, October 27th, for an evening of fun, fellowship and hot cocoa... and PACKING! Together, we can bless kids across the globe. Save the date!